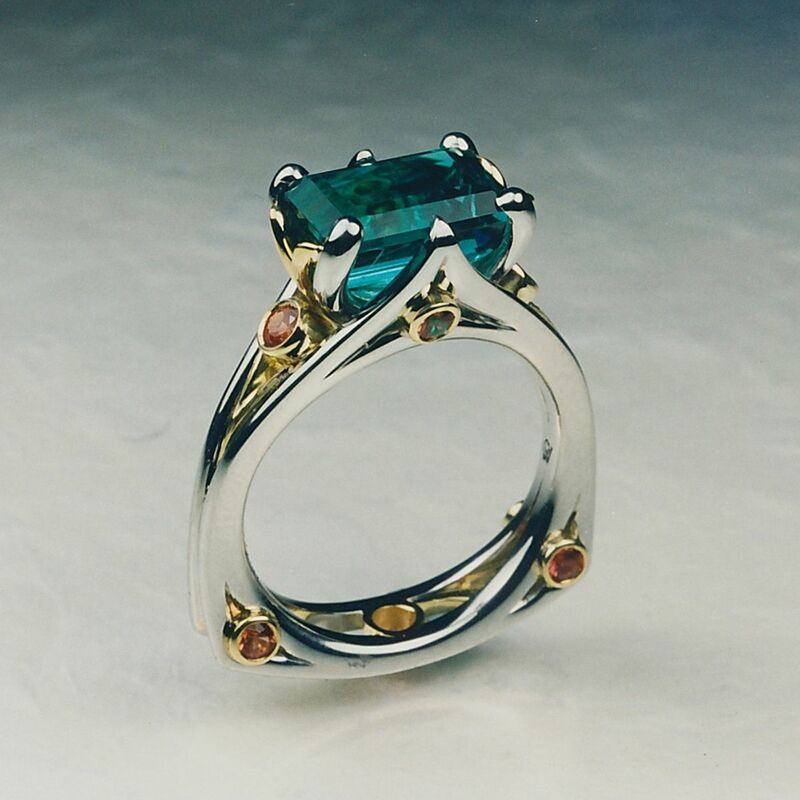 This hand-fabricated platinum and 18kt. yellow gold ring features a rare emerald-cut Namibian tourmaline center and spessartite garnet accents artfully set on the sides of the center emerald and in the band portion of the ring. 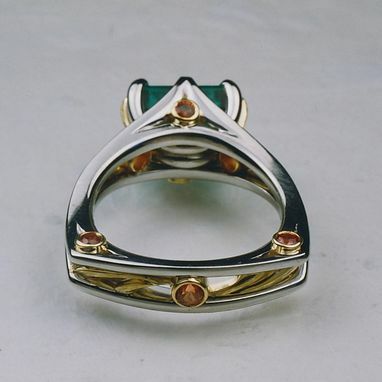 It is a unique design that can be adapted to fit most gemstone shapes and sizes.